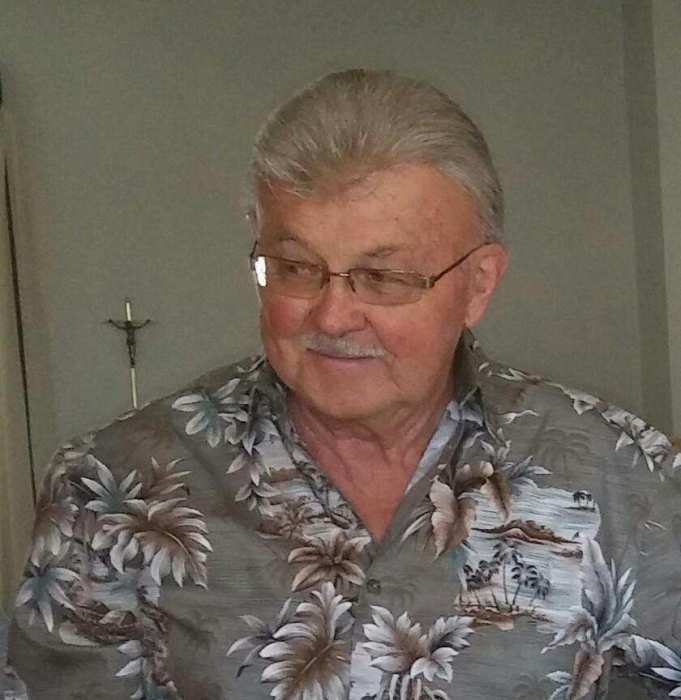 Harlan C. Hudson, age 75, of Burlington, WI, passed away on Sunday, March 25th at his home, with his loving family by his side. He was a pillar of light and love that illuminated to all those around him. Born in Washburn, Wisconsin on April 17, 1942, Harlan was the beloved son of Charles and Marne (Lund) Hudson. He graduated from Washburn High School in 1960. Following high school, Harlan graduated from the Toledo School of Meat Cutting, where he finished top in his class. In his early years, he worked for Sivyer Steel in Milwaukee, WI and the National Food Store in Ashland, WI until the great meat strike in late 1962. Harlan worked for Roffers Construction of Ashland, WI as a truck driver and heavy equipment operator until his retirement in 2004, at which time he moved to Burlington to be near his children and grandchildren. During the winter months, he loved traveling to Arizona and Nevada. Harlan also enjoyed going to late model and sprint car races. He was an avid Packer fan and he enjoyed watching Badger, Bucks and Brewer games. During the summer months, Harlan’s passion was working outdoors and tending to his garden, which was evident by the beautiful rose bushes that adorned his home. His greatest enjoyment was spending time with his children, grandchildren, siblings, family members and friends who loved him dearly. Harlan was married to Deanna Oreskovich in 1962 and together they raised three beautiful children. He is survived by his children, Debra (Gene) Hassmann of Wind Lake, WI, Harlan D. Hudson and Howard Hudson, both of Burlington; grandchildren Rachel and Ryan Hassmann and Hayden Hudson. Harlan is also survived by his beloved friend Margot Armstrong of Fox Lake, IL; siblings, Lynda Garz of Washburn, WI, Janice Spaulding, Dennis (Donna) Hudson, and Barbara (William “Bud”) Osredkar, all of Ashland, WI; one aunt, Edna Eliason of Washburn, WI; and several cousins, nieces and nephews. He is preceded in death by his parents, brother-in-law Carl Garz and nephew, Duane Garz. Funeral arrangements are being handled by Integrity Funeral Services of Waterford, WI. Following cremation, a graveside service is planned for Sunday, May 27, 2018 at 2:00 P.M. at the Washburn Cemetery in Washburn, WI. There will be a private gathering of celebration following. In lieu of flowers, memorials are suggested to the Aurora Cancer Care Center, Burlington, WI.